Hyaluronic Acid! The "SMART" nutrient! Hyaluronic Acid! The “SMART” nutrient! Hyaluronic Acid is naturally found in the skin and present in every tissue in our body. As a component of the extra cellular matrix… Hyaluronic Acid is considered a humectant, because it attracts water to the skin and is responsible for maintaining the water balance in the skin’s tissue. In addition, it acts as a barrier to protect our body against pathogens. Hyaluronic Acid helps remove toxins and waste from all cells including those that do not have a direct blood supply, such as cartilage. While holding moisture in, it actually adjusts moisture absorption rate based on the humidity in our environment. If ALL that wasn’t enough… it also aids in protecting the skin from UVB rays and the reactive oxygen species they generate... Which can lead to hyper-pigmentation! This is one “SMART” nutrient! 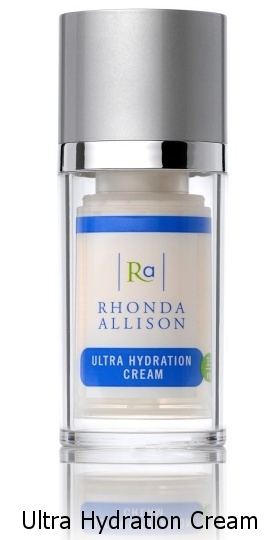 Some of the products that contain Hyaluronic Acid are Rhonda Allison's Hyaluronic Serum and Ultra Hydration Cream. Cucumber Spritz contains Hyaluronic Acid and increases hydration fast, while holding moisture in! Are razor bumps a part of your life?